Reading as part of the “Listen To This: Stories in Performance” series, hosted by Tom Chalmers. 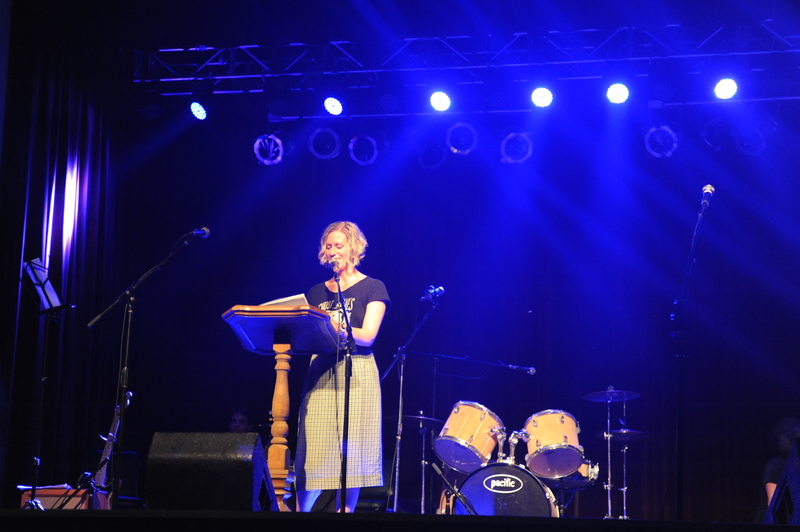 The theme was “It’s OK, I’m with the band,” and I got to read an except of How to Talk to Rockstars — onstage at The Orange Peel! With a backing band (Rond). A truly surreal and wonderful moment. Photos by Michael Selverne. This entry was posted in Books and tagged How to Talk to Rockstars, readings, The Orange Peel. Bookmark the permalink.